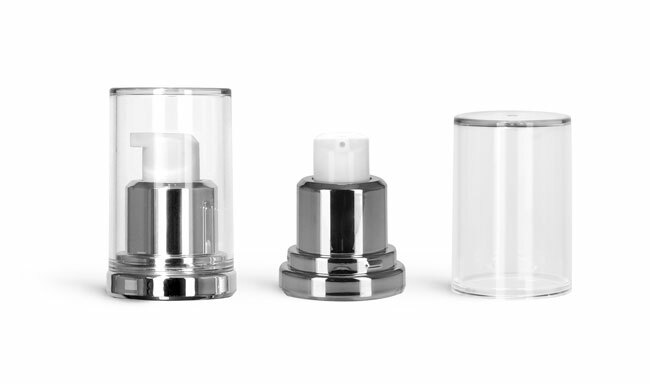 These airless plastic pumps with shiny silver collars provide a high end finish for products that could include serums, creams, and foundations. 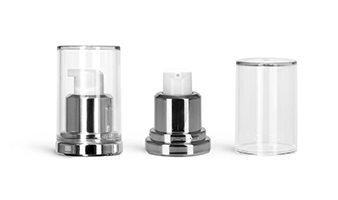 With an output of 0.2 ml, these white airless pumps are composed of polypropylene and feature silver aluminum shelled collars, and clear plastic AS (acrylonitrile styrene) caps. Pair with clear airless pump bottles for cosmetics and other body care products.